Most of us have seen it, and some of us have experienced it—red, itchy bumps, pustules and in some cases, hives, known as the after-waxing histamine response. Since waxing causes a type of trauma to the skin, the body responds to this trauma by releasing histamines. Pre- and post-care can help reduce the response, but first let’s dive more into the action of histamines. Depilatory waxing removes hair from the root, thus creating trauma to the skin. The body may react to this trauma with a histamine reaction, which for many clients occurs almost immediately.3 It is quite normal—the body perceives the hair removal as a threat and the immune system kicks in and responds by producing histamine to fight the threat as if it were an allergic reaction. In most cases, the body is reacting to the hair being pulled out, not from the wax being used. How much histamine an individual will produce and how much their skin will react varies and is difficult to predict. Preventative measures can be taken and should always be addressed, as the histamine response can seriously affect your wax business. If a reaction occurs, a client may immediately experience redness, inflammation, hives and/or itchiness as its involuntary defense mechanism. React. Apply a cool compress, an after wax cooling product and/or high frequency accordingly to minimize irritation. Let your client know that what they are experiencing is normal, and that this reaction may last a few minutes, a few hours and or even days after the treatment. Recommend. Give them a home-care protocol for the next 24–48 hours. If the reaction is intolerable, suggest they seek the advice of a medical professional. A pharmacist (or in severe reactions, a physician) can recommend an anti-inflammatory product. Give your team the proper information they should provide during the booking process, including: pre-treatment care, treatment expectations and post-treatment care. Have your team briefly describe what to expect upon arrival and ask that they arrive a few minutes early to fill out your client health care/consultation form. Pre-treatment care. In your intake form, make sure to include questions about contraindications such as allergies and medications. Additionally, it is advisable to exfoliate 24 hours before treatment. Clients should avoid: alpha hydroxy acids, glycolic peels, dermabrasion, exfoliation, caffeine, alcohol, tanning, hot tubs, and hot showers or baths 24 hours before waxing. Optimal hair length is another important factor—at least one-eighth of an inch is recommended. Ideally, clients should have little or no caffeine in their systems. Waxing during one’s menstrual cycle also is not recommended. Some find that taking an antacid 10–20 minutes prior to waxing can reduce the acid in a client’s system to reduce sensitivity. Treatment expectations. Clients should also be advised of the amount of time they will be in the treatment room for their wax service. They need to be advised to expect the possible but normal histamine response, which may include redness, inflammation, hives and/or itchiness. Post-treatment care. Always recommend loose-fitting clothing. Similar to the above, clients should avoid alpha hydroxy acids, glycolic peels, dermabrasion, exfoliation, caffeine, alcohol, tanning, hot tubs and hot showers or baths 24 hours after waxing. Apply post-treatment topicals and send the client home with products to reduce inflammation and soothe the skin. Applying a cool compress after waxing can help minimize redness. 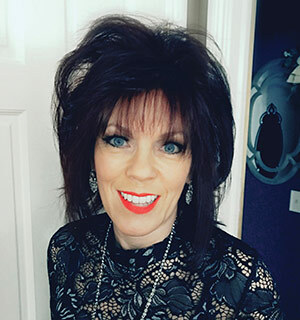 Cindy Johnson, L.C., is the trade marketing manager for Cirépil by Perron Rigot Inc. She has over 25 years of experience in the beauty and waxing industry.